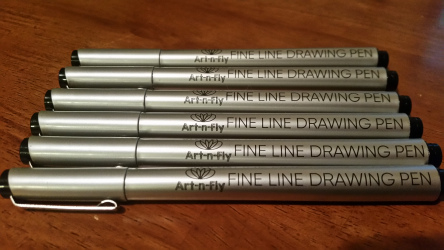 This set of pens by Art-n-Fly can be found on Amazon here, for about $10. These are approximately $1.67 each. This makes them just a little more expensive than the Sakura Pigma Micron pens. I haven’t heard much about this company, but they advertise that they specialize in high quality drawing and painting supplies. 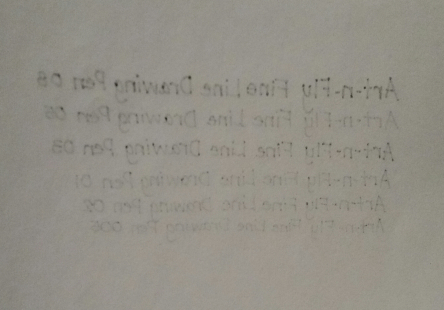 Something to keep in mind is that I am doing this test on everyday printer paper. 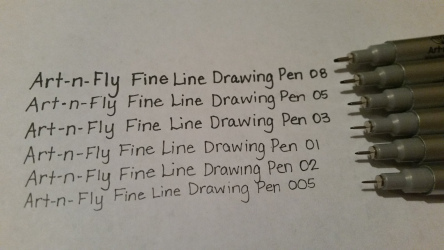 The very first thing that I noticed was that there are no ways to tell which pen is which size except for on the cap of each one. So if you mix up the caps, it will be more difficult to actually find which pen the cap belongs to. I may take my label maker and create labels on the sides of these pens so that I have another hint as to the tip size. To me, this is a flaw. 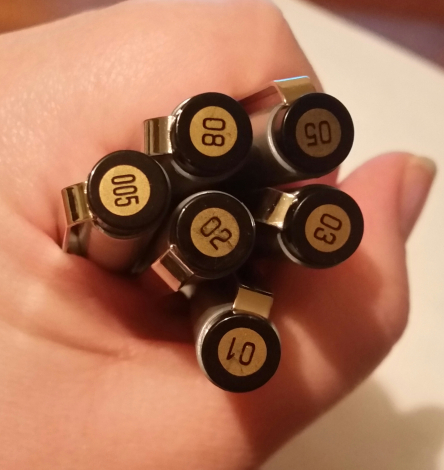 If the sizes were on the pen ends and not the caps, I would find it more useful, however, I would still want the size written on the side of each pen. While writing with these, I noticed that they were very similar to the Sakura Micron Pens in that the tips became less sturdy the smaller they went. I wrote with each pen to show you the size of the tips. This is a first time use for all these pens but the ink seemed to flow smoothly from the tips. I did notice that it didn’t seem to matter how light or hard the pressure on the tip was, the ink stayed the same size. This is something that I greatly admire and appreciate from a pen. This pen set also has Archival ink, which is both waterproof and fade proof. This is a must have for any artist wanting to keep the integrity of their art in tact. However, the only way I knew this was on the set packaging which you can see in the first picture. I did run my finger across the ink immediately after writing and found that there were no smears. Another thing I noticed was that there are only 6 sizes available which is less variety than the Sakura Micron Pens. However, it does seem by reading other customer reviews that people compare these pens equally with Sakura Micron Pens. I did notice that each pen seemed to bleed through a little more than the Sakura Micron Pens as you can see on the picture above. Bleed through never concerns me when dealing with my art because I typically use a thicker paper as well as only use one side of the paper. 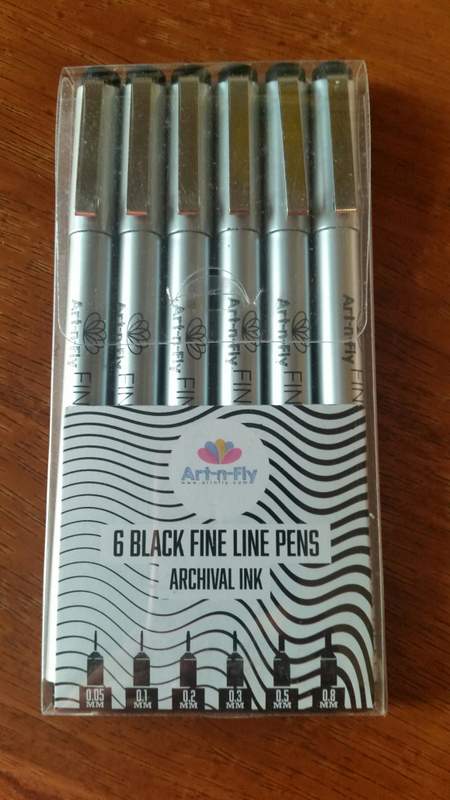 The wonderful thing about these pens are that they are so similar to the Sakura Micron Pens that I can’t give it a bad review, nor would I with the tests I performed. I would love to see them come out with more tips, but they at least have the basics. I would definitely recommend this pen to any artist for multiple projects. If you have any tests you would like to see or if you would like for me to perform a specific test, please let me know in the comments below.